Claire Fullmer Webb died peacefully August 6th at 10:30 pm. surrounded by loved ones at Holladay Home for the Elderly. She was preceded in death by her eternal companion Jack, son Mick, honorary son Terrill Wayne Ewing (TWE), and son-in-law Steve Vanicsek. 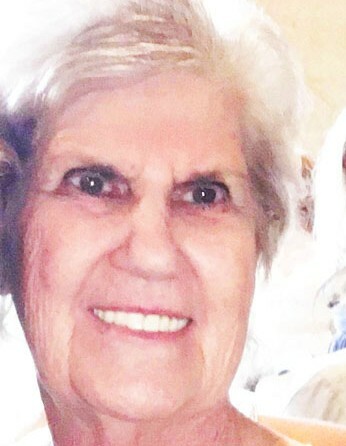 She was an avid golfer and sun worshiper. In Ireland she was banned from playing a course because she was a woman. I think that if you listen really close you can hear the echoes of her protests. Mom played a mean game of Hearts and would always foil dad's plan to "shoot the moon." Many nights were spent with good friends and family playing Pinochle, and she always proclaimed to be the Queen. She was very involved in the LDS church and said it made the world a smaller place. She had friends in every city she lived in. She enjoyed many church callings, especially working in the temple with dad. Mom is remembered by her daughters, Dayna Marie, Julia Rose, son Richard Todd and stepdaughters Dawn Nowacki and Diane Howe. She loved all of her grandkids and especially loved on her great grandbabies. She was never too busy to play a game of Skip-Bo, or make grilled cheese sandwiches. A celebration of life will be held at the home of Rich and Michele Webb, 12178 South 3235 West, Riverton, UT on August 18th 6-8 pm.